Visit Marietta Square for the annual HarvestFest (formerly the Harvest Square Arts and Crafts Festival) on Saturday, October 20, 2018 from 9am to 5pm. 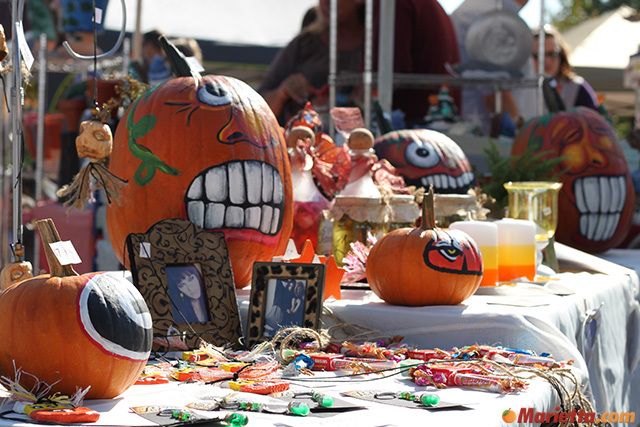 The Fall arts and crafts festival features a wide variety of unique handmade items from a local artist and craftsmen as well as Fall fun for the entire family. 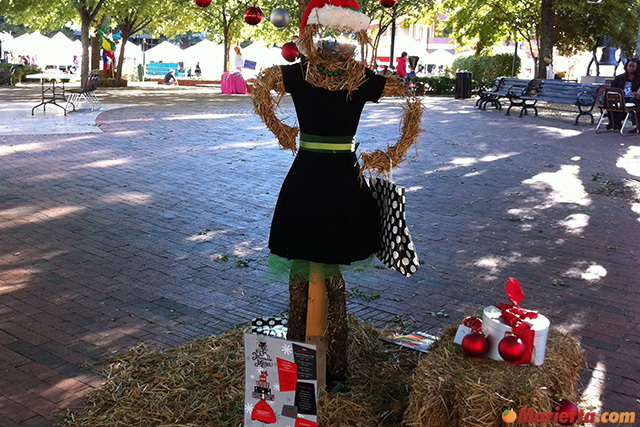 HarvestFest will feature many local and area artists and craftspeople. Exhibitors will include painting, pottery, woodwork, metal, jewelry, glass, fabric and floral designs. 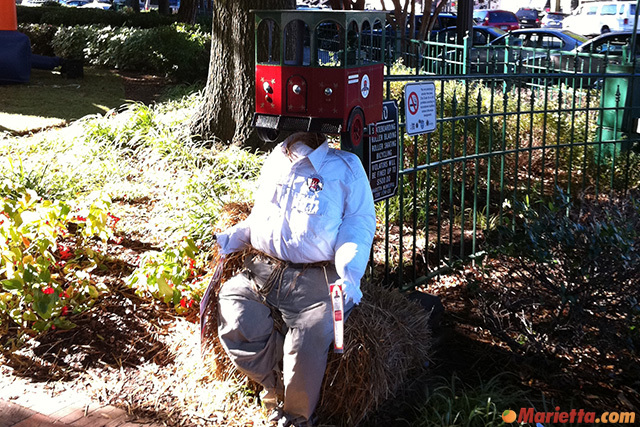 This year the festival also includes Halloween Happenings and Scarecrows on the Square. 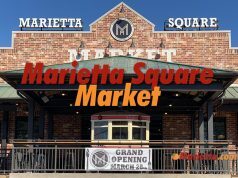 In addition, The Marietta Square Farmers Market will also take place during the festival from 9am to noon. Farmers Market – 9am to noon. 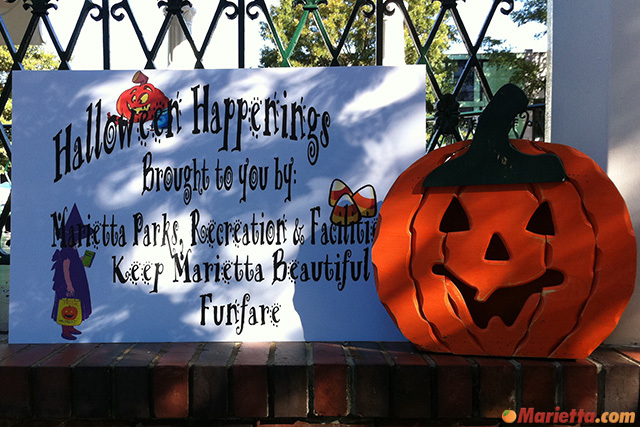 The event includes Halloween Happenings for children ages 12 and younger. 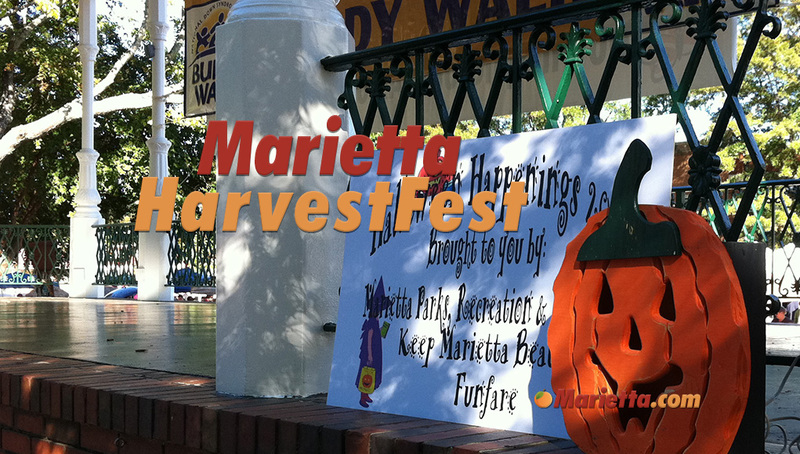 The event takes place as part of Harvest Square and includes games, candy, prizes, and a costume contest for children 12 and under. There is even a costume contest for pets. 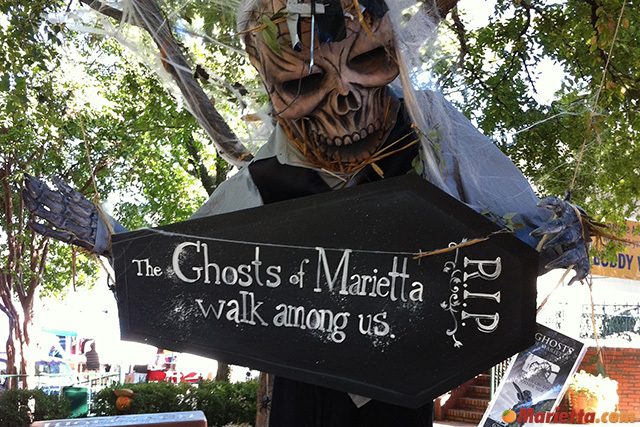 No registration is required for the costume contests. 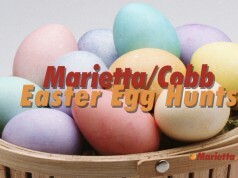 The Marietta Parks and Recreation Department sponsors this event each fall, and free parking will be available in the Cobb County Parking Garage on Cherokee Street. Are there any more spots for vendors open and if so how do I sign up? Please tell me if you have a list of vendors from 3 years ago. I bought a beaded purse from one of them and want to find her. Many people have seen my purse and love it. 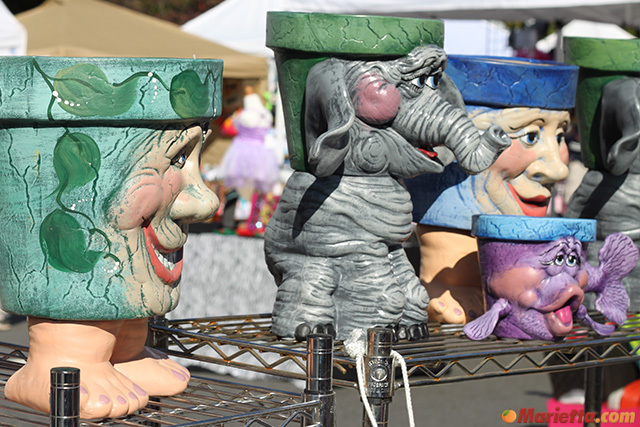 How do I get an application to apply for the Arts & Crafts Festival? I would like a crafts vendor list from the last festival because I want to buy a blanket from one of them and I lost the card. Do you remember if the vendor was Fun Fleece? I’m Carol Sims, the blanket and scarf maker. Our banner has multi colored balloons on strings. I came to the web site to see if there was a date for 2017, and saw your post. 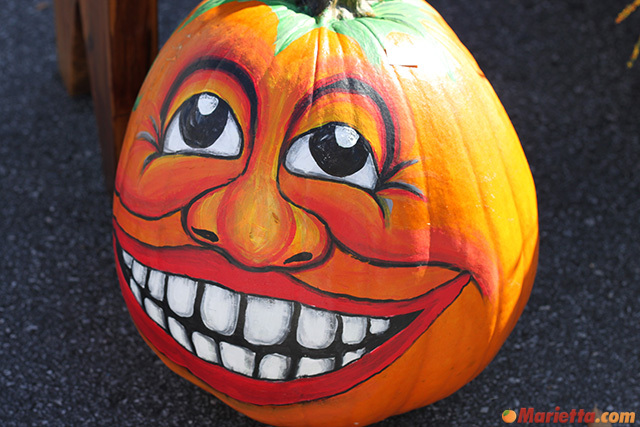 Is there any vendor availability for Harvest Fest on 10/21? And what is the price? Thank you! Interested in being a vendor, any open spots? Is there a rain contingency in the event of inclement weather tomorrow? 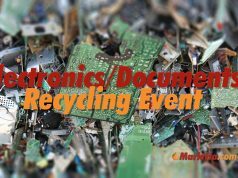 How can I become a vendor for this event? is there an application deadline?